The Santa Barbara Metropolitan Transit District Board of Directors plans to have a 100 percent zero-emissions bus fleet by the year 2030, according to a press release sent out on Nov. 20. The Santa Barbara Metropolitan Transit District (SBMTD) plans to reach this goal by developing an eco-friendly fleet of zero-emissions buses powered by renewable energy, according to the press release. The district hopes this move will reflect its efforts to support climate change solutions. SBMTD has a history of leading the way in environmentally-friendly transportation, said Hillary Blackerby, SBMTD interim planning and marketing manager, in an interview with the Nexus. SBMTD implemented the first electric buses in the U.S. into its fleet in 1991. Today, they have the second largest number of active electric buses out of any transit system in California, the press release stated. “We are committed to making this happen,” Jerry Estrada, SBMTD general manager, said in the press release. The cost of this transition is unknown, as bus prices tend to fluctuate significantly with the market, Blackerby said. SBMTD recently purchased 14 new 30-foot electric buses, costing $380,000 per bus, she said. The 30-foot buses are used for shuttle service in Santa Barbara; however, for downtown, waterfront and crosstown shuttle, Blackerby projects they would need 40 to 60-foot buses. The latter would likely have steeper costs. The zero-emissions project will be financed by a combination of funding from the Federal Transit Association, state funding and other grants, Blackerby said. The transition to zero-emission buses will take place as the current buses reach the end of their useful life. Additionally, the California Air Resources Board – an organization dedicated to maintaining healthy air quality – is expected to adopt new statewide clean air standards in 2019 which would gradually phase in requirements for public transit agencies to purchase only zero-emission buses over the next few decades. These expectations will be met by SBMTD before the new standard is implemented, according to the press release. “By setting this goal, MTD can plan this transition, build the necessary charging infrastructure, send a market signal to bus manufacturers, and set Santa Barbara on the path to 100% clean, quiet electric buses powered by 100% renewable energy,” the press release stated. The transition to zero-emission buses was also due in part to community organizations, including the Community Environmental Council and the local chapter of the Sierra Club. The groups worked to garner support for the plan from other community groups and individuals, according to Blackerby. SBMTD Board Chair Dave Davis said fulfilling the transition will be challenging, but feasible with help from local partners and the transit industry. “The MTD Board of Directors knows that it is the right thing to do for our agency, our community, and our planet,” he said. 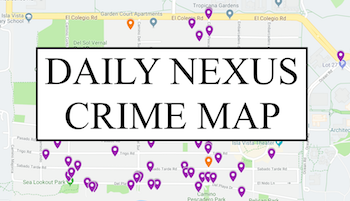 Amira Garewal is a staff writer for the Daily Nexus. 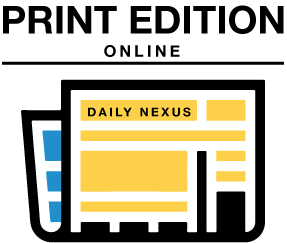 She can be reached at news@dailynexus.com.